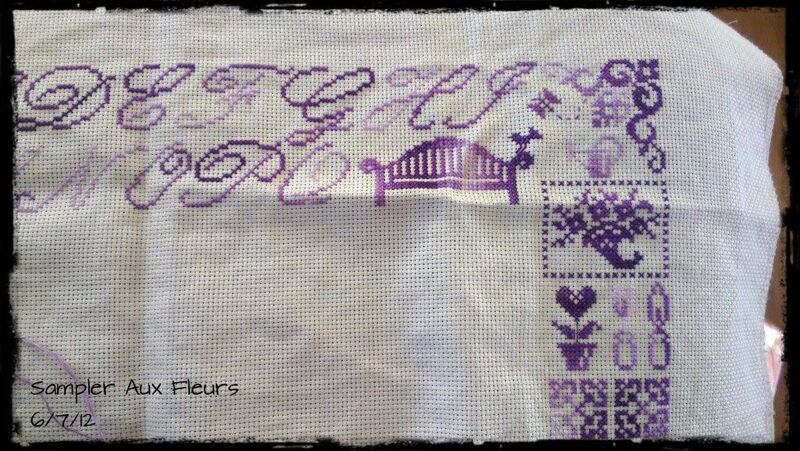 Naughts & Cross stitches: We have a WINNER!!!! So if you can please get in contact with me and I will send it on as soon as possible. 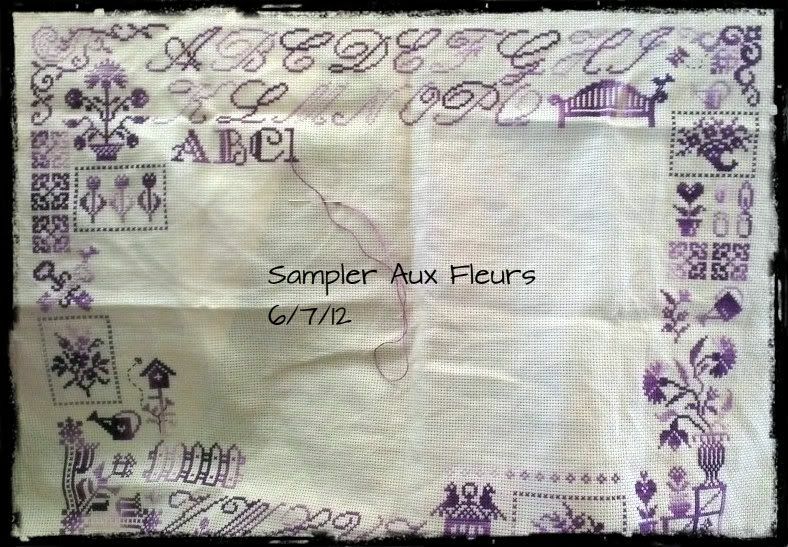 So that this post doesn't have no photos I do have a sampler aux fleurs update. The alphabet along the top is now finished, and so is the chair. Started the next kind of alphabet this one is blockier. I may get more done this weekend but probably not as I want to get some knitting done. I am still enjoying working on this piece as the colours are really simple (no colour changes) and I just work piece by piece. A nice break from Afternoon Tea. 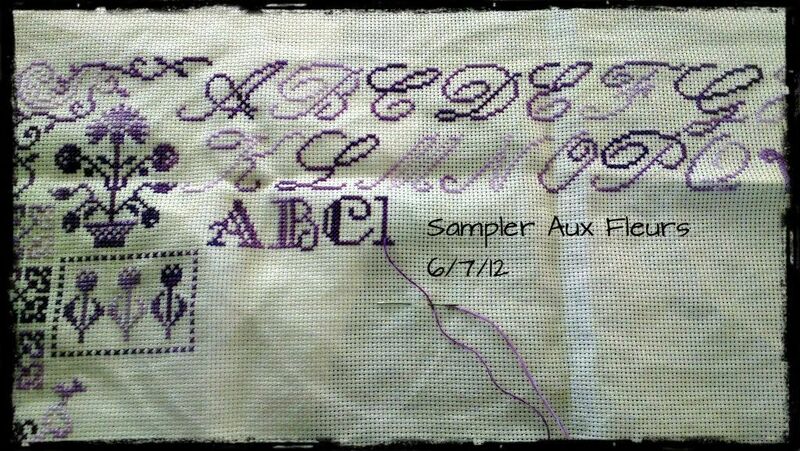 I love the alphabets on this sampler. From time to time I also need a piece whithout colour changes, it's so relaxing. The sampler is looking good.Its nice to do a piece with no colour changes every once and awhile. Gorgeous purple thread - what are you using? Congratulations to the lovely Dani. Your progress is beautiful. Congrats to the winner! It is so pretty. Congrats to Dani!